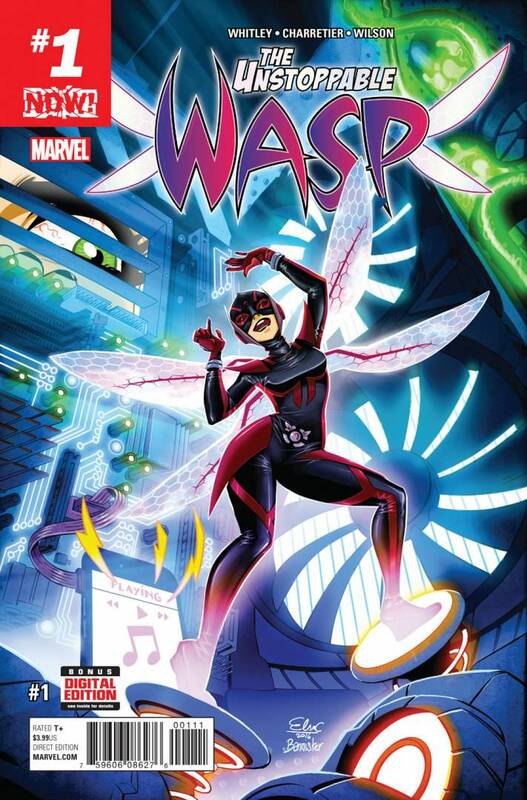 The series, put together by writer Jeremy Whitley and artist Elsa Charretier, features a central character called Nadia Pym. Pym is a teen ‘super scientist’ who spent the first half of her life captive in a Soviet training facility. ‘For the first time ever, this teenage super-scientist is on her own and she’s ready to spread her size-changing wings!’ reads The Unstoppable Wasp’s tagline. He noted that the idea of celebrating science and innovation fits perfectly with Pym’s character and the sense of curiosity and innovation that runs through the series. The first in the series, released earlier this month, featured Rachel Silverstein, a paleontologist who studies the fossils of extinct elephants, and Marina Chanidou, a UK-based PhD student of analytical chemistry. “Right now I analyse food samples, but my goal is to apply my method to archaeological remains and test them for residues of different foodstuffs,” reads her interview within the comic. Positive psychology has found that our realities are shaped by the way our brains view the world. The news tends to focus on humanity at its worst but Positive News helps you see the bigger picture. Be informed. Be inspired.